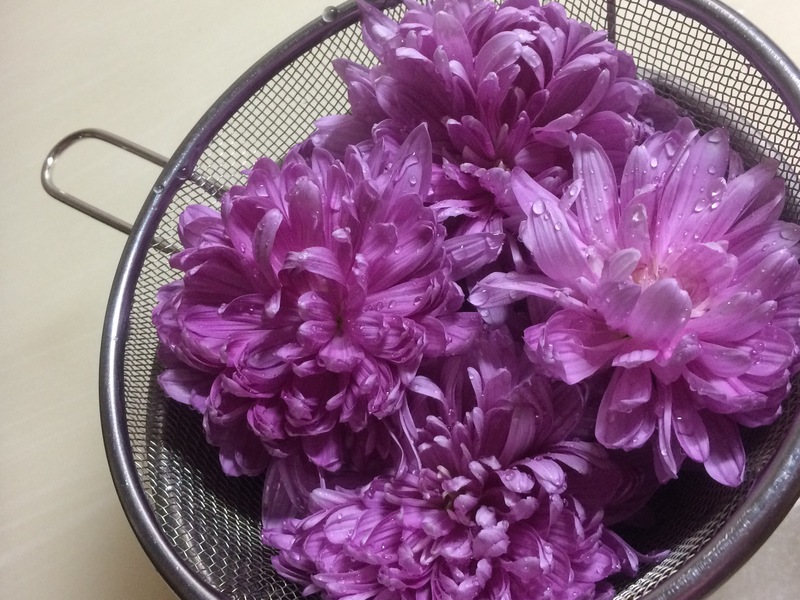 My husband visited our relative and harvested lots of vegetables last November, one of which was chrysanthemum. In traditional Japanese cooking, we don’t really use edible flowers a lot, except for chrysanthemum and nanohana (canola flowers). Typically chrysanthemums are used for sunomono, Japanese vinegared food. But we got quite a lot, so I used some for miso soup. 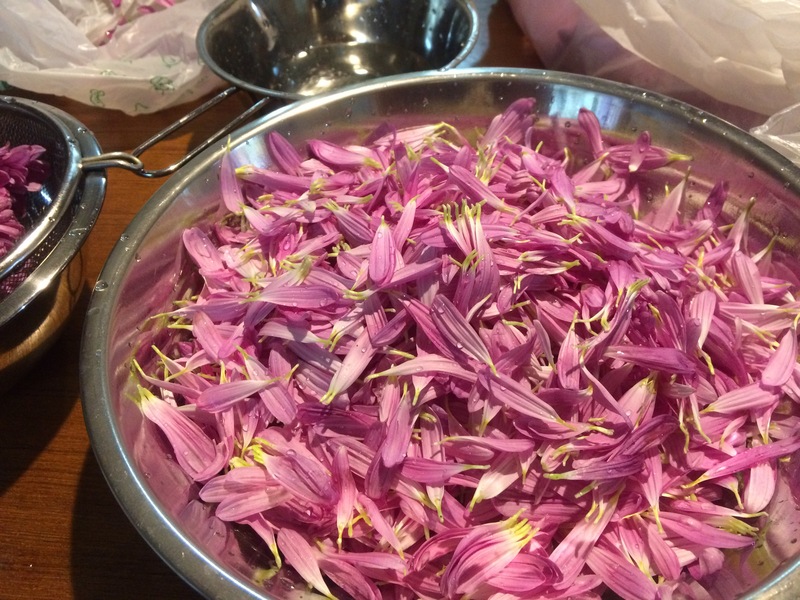 To prepare, I picked petals off from the flowers and boiled quickly in the hot water with vinegar. 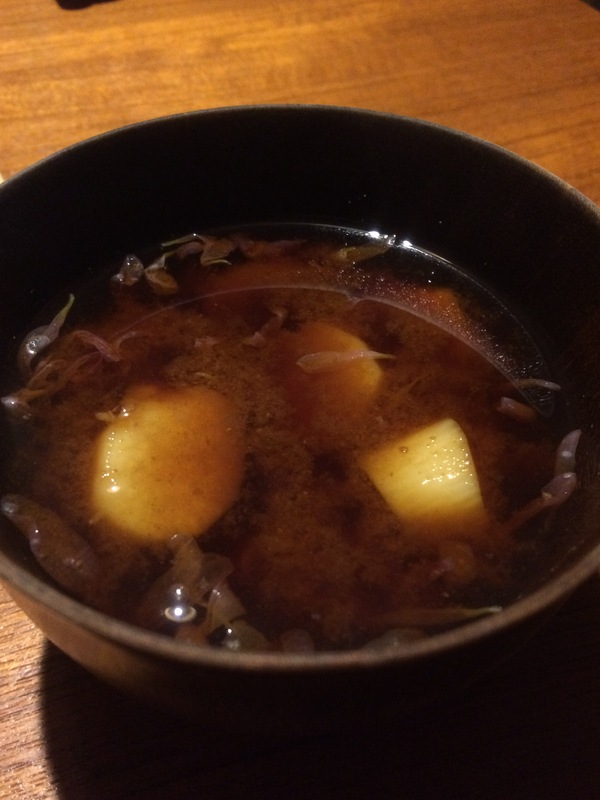 In the miso soup, I added Chinese yum together with chrysanthemum. Both of them are good for health – they have been used as traditional natural medicine. I’ve never seen chrysanthemum used in food before- I didn’t even know you could eat it to be honest! How interesting! What does it taste like? Or is it just eaten for the health benefits?